17,100,000 sq km (6,602,347 sq miles). Following the nerve agent attack in Salisbury on 4 March 2018, there are heightened political tensions between the UK and Russia. While the British Embassy in Moscow is not aware of any increased difficulties for British people travelling to Russia, you’re advised to remain vigilant, avoid any protests or demonstrations, and avoid commenting publicly on political developments. You may wish to sign up for our email alerts to be notified of any updates to this travel advice. The UK doesn’t recognise Crimea as being part of Russia. See the Ukraine travel advice page for details. Political rallies and demonstrations can occur in Moscow, St Petersburg and other places across Russia. Check the local media for the latest information, be vigilant, and avoid any demonstrations. According to the Federal Agency for Tourism, British nationals made around 177,000 visits to Russia in 2016. Most visits are trouble-free. Small earth tremors are recorded throughout the year without consequences. To learn more about what to do before, during and after an earthquake, see the website of the US Federal Emergency Management Agency. Consular support is severely limited in parts of Russia due to the security situation. The North Caucasus remains an unstable and potentially dangerous region. The Russian authorities take a particularly strict attitude towards security, as well as compliance with visa and registration rules. Short-term travel restrictions are sometimes applied in relation to ongoing security operations. These are publicised at very short notice, if at all. Cross-border traffic with Georgia and Azerbaijan is also subject to restrictions. You can contact the emergency services by calling 112. Tell a friend or relative about your travel plans before you go. Give them some idea of your itinerary (if possible), and an emergency contact number. Check with your mobile phone provider to make sure your phone will work in Russia. Store useful numbers in your phone, such as the British Embassy (+7 495 956 7200) and the local emergency service number (112). To get a local SIM card, you will need to show your passport. Most visits to Russia are trouble-free, but petty crime does happen. You should follow the same personal security procedures as you would anywhere else. Be alert to the possibility of mugging, pick pocketing and theft in the main tourist areas and around the main railway concourses, as well as from vehicles or hotel rooms. Don’t leave your bags unattended. Avoid openly carrying expensive items or anything that might easily identify you as a tourist. Avoid walking about late at night alone. Be wary of groups of women and children who beg. Don’t agree to look after possessions of people you don’t know, and never agree to go to a bar or a club with someone you have just met. The spiking of drinks does happen and can lead to robbery, violence and/or abuse. Unconscious victims are often left outside, which can be life threatening in the winter months. Buy your own drinks and keep sight of them at all times. Official looking taxis can be unlicensed, and British nationals travelling in them have been the victims of crime. Taxi apps are a useful way to call a registered taxi. You can also ask your hotel to get a taxi for you or to give you the number of a reputable company. Don’t flag down what may appear to be an official taxi or share a taxi with strangers, as you are putting yourself at risk. Where possible you should agree the fare before getting into the taxi or check that the meter is working. Foreign visitors are not usually the targets of violent crime. However, in St Petersburg there have been reports of street crime where tourists have been specifically targeted. These crimes are carried out by well organised gangs. The police do not have to have a reason in order to stop, question or detain individuals. Bogus police officers have harassed and robbed tourists. If you’re stopped, always insist on seeing identification, and report harassment or crimes to the British Embassy. Political rallies and demonstrations occur in cities and towns across Russia, usually with notice and permission from the authorities. Unauthorised demonstrations can lead to a robust response from the Russian authorities, occasionally leading to violence. Under Russian law, actions by one person can be described as a protest, and if unauthorised this can also be subject to a robust response. Check the local media for the latest information, be vigilant, and avoid any demonstrations. Most visitors experience no difficulties but racial discrimination may be an issue and might vary according to location. People of Asian or Afro-Caribbean descent may attract unwanted attention in public places and should take care, particularly when travelling late at night. Take care if you are using a dating service. A number of British nationals have been the victims of fraud. Never send money or buy items for anyone you have not met in person. Be wary of sending money via untraceable transfer services. There have been instances where British nationals have lost money by sending money to an unknown recipient without checking they were genuine. If you travel to these parts of Russia against FCO advice, you are taking a serious risk. The ability of the FCO and the British Embassy in Moscow to help in the case of an emergency will be severely limited. The AA and the RAC offer information and advice on driving in Russia, including information on compulsory documentation and equipment. If you’re planning to hire a car, check with your car hire company for information on their requirements before you travel. From 28 March 2019, you will need to have a 1968 International Driving Permit (IDP) to drive in Russia. 1949 IDPs previously issued by the UK may no longer be accepted in Russia after this date. From 1 February 2019, you can only get IDPs over the counter from 2,500 UK Post Offices. You will not be able to buy an IDP outside the UK, so get one before you travel. You should be aware that travel between cities can take a long time given the distance, heavy traffic in big cities, and poor road conditions. Don’t drive alone at night or sleep in your vehicle on the side of the road. Don’t pick up hitchhikers. Road safety is poor. According to statistics published by the Directorate for Road Traffic Safety there were over 169,000 road traffic accidents in Russia in 2017, causing over 19,000 deaths and over 215,000 injuries. You should be vigilant when driving, take account of weather conditions, and consider limiting or avoiding driving at night. It is common practice for traffic police to stop motorists for spot checks. There is a zero tolerance policy towards drink driving. In order to drive a vehicle into Russia, you will need to declare the vehicle with the customs authority at the point of entry. You can bring a vehicle into Russia without paying import taxes for a maximum period of 1 year. Contact the Russian Embassy if you have more detailed questions about bringing a vehicle into Russia. The British Embassy is unable to offer help to those attempting to bring vehicles into Russia without the correct documentation. All railway stations have airport-style security. All bags will be scanned and passengers will need to go through detector arches. If you’re travelling by overnight train in a sleeping compartment, store valuables in the container under the bed or seat. Don’t agree to look after the luggage of a fellow traveller or allow it to be stored in your compartment. Don’t leave your sleeping compartment unoccupied, as some compartments only have a simple lock on the sliding door. On some trains there may be an additional security device, which can be attached to the fitted handle/lock unit. There may also be a steel switch at head-height on the door panel which, when pulled down, prevents the closed door from being slid open. The volume and quantity of liquids, gels, aerosols, creams or pastes you can carry in your hand luggage when going through airport screening facilities throughout Russia is limited. For more information, please refer to the Federal Air Transport Agency (in Russian), or consult your airline. A domestic flight crashed shortly after take-off from Moscow’s Domodedovo Airport in February 2018 killing all on board; and in September 2018 a domestic flight skidded off the runway and caught fire while landing in Sochi, injuring 18 people. A list of recent incidents and accidents including the location, type of aircraft and operator can be found on the website of the Aviation Safety Network. The FCO can’t offer advice on the safety of individual airlines. The International Air Transport Association publishes a list of registered airlines that have been audited and found to meet a number of operational safety standards and recommended practices. This list is not exhaustive and the absence of an airline from this list doesn’t necessarily mean that it is unsafe. Travel by helicopter is often used in more remote areas of Russia, including in the oil and gas industry. In recent years there have been helicopter crashes with multiple fatalities. A helicopter crashed shortly after take-off near Igarka in August 2018, killing all on board. Be aware of the increased risk of travel by helicopter and satisfy yourself of the operator’s safety record. The most recent audit of Russia’s civil aviation authority by the International Civil Aviation Organisation in 2015 found that the level of implementation of the critical elements of safety oversight Russia was above the global average. According to the Russian migration authorities, around 69,000 British nationals visited St Petersburg in 2016 on sea cruise ships organised by foreign tour companies. Volga river cruises between St Petersburg and Moscow are also popular. Use recognised cruise operators with established safety records. People with disabilities may face difficulties in accessing certain public areas as disabled facilities vary across Russia, and can be poor or even non-existent in places. in 2011, 37 people were killed, including a British national, and many others injured in a suicide bombing at Moscow Domodedovo airport. Since December 2017, Russian security forces have disrupted several plots in major Russian cities, including Moscow, St Petersburg, Nizhny Novgorod and Stavropol. These plots are reported to have targeted public transport and crowded places. Terrorist groups, including Daesh and al-Qaeda aligned groups, continue to call for attacks in Russia. Although there’s no indication that British nationals or interests have been specific targets, attacks could be indiscriminate, including in places visited by foreigners. You should be vigilant in all public places, including major transport hubs, tourist sites and crowded areas; and particularly where access isn’t controlled, for example at open-air events and markets. Previous attacks have targeted transport infrastructure. In 2015, Daesh announced the establishment of an affiliate in the North Caucasus, and many rebel leaders announced they had switched their allegiance to Daesh. Daesh North Caucasus has claimed responsibility for a number of small-scale attacks (mainly in Dagestan), targeting law enforcement personnel. While the number of casualties from ongoing violence in the North Caucasus has reduced in recent years, there continues to be frequent attacks and skirmishes between rebel groups and Russian forces in the republics of Dagestan, Chechnya, Ingushetia and Kabardino-Balkaria. The threat from terrorism could rise quickly in relation to any escalation of violence in the North Caucasus. Security services conduct frequent counter-terrorism operations in the North Caucasus and elsewhere in Russia. These can be at short notice and involve restrictions on travel. A number of western nationals, including British nationals, have previously been kidnapped in the North Caucasus and some have been killed by their captors. Those engaged in humanitarian aid work, journalism or business sectors are viewed as legitimate targets. If you’re kidnapped, the reason for your presence is unlikely to serve as a protection or secure your safe release. You should carry your passport with you at all times. A copy will not be sufficient. Police carry out random checks, especially during periods of heightened security. Failure to produce your passport when asked can lead to a fine. You’ll need to register with the local authorities if you’re staying anywhere for more than 7 working days. Your hotel will do this automatically. If you’re staying in a rented or private apartment, it is your host’s responsibility to carry this out. However, it is your responsibility to ensure this is done. You will need to produce evidence of the registration at passport control on departure from Russia. You can find more information on the website of the Russian Interior Ministry’s General Administration for Migration Issues (in Russian). Don’t become involved with drugs. You can expect a long sentence for possession of even small quantities of drugs, regardless of whether they are ‘hard’ or ‘soft’. Photographing any military establishment or site of strategic importance (including airports) is banned. There may not be warning signs in locations where prohibitions are in place. You are likely to be detained for questioning or arrested if you are caught. You’ll need to get official permission from the Russian aviation authority (in Russian) before using any unmanned aircraft systems (drones) in Russian airspace. You must inform them of the flight route at least 24 hours in advance and keep in regular contact with them before and during the flight. Failure to do so will result in a fine. Public attitudes towards LGBT+ issues are less tolerant than in the UK, and can vary depending on location. Government officials have made derogatory comments about LGBT+ individuals. Public displays of affection may attract negative attention. The republics of the North Caucasus are particularly intolerant to LGBT+ issues. Since January 2017, credible reports have been received of the arrest, torture and extrajudicial killing of gay men in Chechnya, allegedly conducted by Chechen regional authorities. In 2018 Russia was ranked 45th out of 49 European countries for LGBT+ rights by ILGA-Europe. There are no laws that exist to protect LGBT+ people from discrimination on the grounds of sexual orientation and/or gender identity. Homosexuality is not illegal in Russia. However, in 2012, Moscow Pride was banned for 100 years. In June 2013, a law banning the promotion of ‘non-traditional sexual relations’ towards under 18s (the “gay propaganda” law) entered into force. There have been reports that instances of harassment, threats, and acts of violence towards the LGBT+ community have increased following the introduction of this law. While no foreign nationals have been charged or convicted under it, penalties could include arrest and detention, fines and/or deportation. See our information and advice page for the LGBT+ community before you travel. There are restrictions on certain religious activities, including preaching and distributing religious materials. Following recent legislation, Jehovah’s Witnesses are considered an extremist organisation in Russia and can be subject to significant harassment from the authorities, particularly at places of worship. At least one foreign national has been detained and subsequently imprisoned for being a Jehovah’s Witness, though we are not aware of any British nationals being detained for this reason. Other minority religious groups in Russia are also subject to similar discrimination, as are organisations like the Scientologists. Russia’s cybersecurity laws are changing. Restrictions have been placed on some social media platforms, such as LinkedIn and Telegram, and access to other internet sites can be unreliable. More information is available from the Federal Service for Supervision of Communications, Information Technology and Mass Media (in Russian). You can find further advice on the website of the UK’s National Cyber Security Centre. Access to certain areas such as military and border zones are restricted. You must get permission from the local authorities before entering these areas. You can find a list on this website (in Russian). If you don’t get the necessary permissions you may be arrested, fined or even deported. If you’re in any doubt about whether a tour or excursion will take you into a restricted area, contact your tour operator or the Russian Embassy. If you have dual nationality and enter Russia on the passport of your other nationality, the assistance that the British Embassy is able to offer you may be limited. If you have dual British and Russian nationality and travel to Russia to renew your Russian passport, it may take up to 4 months for your new passport to be issued. You won’t be able to leave Russia on your British passport if you entered Russia on your Russian passport, and will therefore have to remain in Russia until your new Russian passport is issued. Children born overseas and added to their parents’ Russian passports may now have to get their own passport to exit Russia. Check with the Russian Embassy before you travel to ensure you have the necessary paperwork. The authorities in the country or territory that you’re travelling to are responsible for setting and enforcing the rules for entry. If you’re unclear about any aspect of the entry requirements, or you need further reassurance, you’ll need to contact the embassy, high commission or consulate of the country or territory you’re travelling to. You’ll need to get a visa before you travel. The Russian Embassy advised in March 2018 that it takes around 20 business days (4 weeks) to process most visa applications. As part of the visa application process, all applicants based in the UK aged 12 or over will need to visit a visa application centre to submit biometric data (scanned fingerprints). These are located in London, Manchester and Edinburgh. The Russian government has also announced plans to introduce biometric fingerprinting for all foreign nationals, including British nationals, when entering Russia. No dates have been confirmed for this. On receiving your visa you should check the details carefully including the validity dates and passport number to make sure they are correct. Make sure you’re aware of the terms and conditions attached to your visa before you travel. 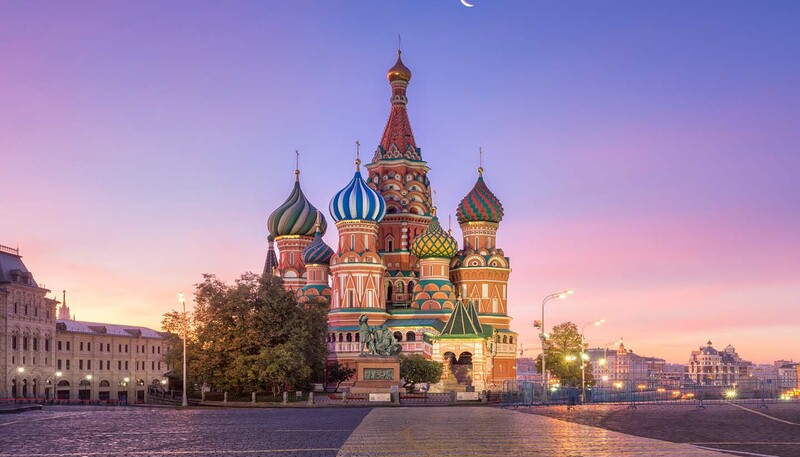 You should adhere to the validity and conditions of your visa while you’re in Russia, as the authorities strictly enforce all visa and immigration laws. If you intend to stay longer, you should arrange an extension of your visa before it expires. Overstaying your visa without authorisation can result in a delay to your departure, as well as the possibility of fines, court hearings, deportation and a ban from re-entry. Cruise or ferry passengers can stay in Russia for 72 hours without a visa if they have booked tours through officially licensed companies. You are free to use any authorised travel agency, not just cruise ship tour companies. If your passport is lost/stolen while ashore and you get a replacement Emergency Travel Document, or if you plan to continue your journey by air or land, you must get an exit visa to leave Russia. It’s not possible to enter Russia using a visa in an expired passport, even if carried with a new, valid passport. You will need to either apply for a visa transfer or for a new visa. Further details are available from the Russian Embassy. If you’re travelling on a British passport issued since January 2017, you should make sure you’ve signed your passport before you travel. Some British nationals who haven’t signed their new passports have been denied entry into Russia. You must sign an immigration card every time you arrive in Russia. This will be given to you at passport control. The card is in 2 identical parts. One part will be retained by the Immigration Officer. You should keep the other part safe as you’ll need to submit this at passport control when you leave Russia. Should you lose it, your departure from Russia could be delayed. There are also many hotels and hostels that will not accept guests without an immigration card. By air: British nationals flying to Russia from Belarus or to Belarus from Russia are subject to immigration control. If you’re transiting Russia when flying to/from Belarus, please contact the nearest Russian embassy or consulate to check if a transit visa is needed. By road: There are no legal grounds for foreigners (including British nationals) to cross the land border between Russia and Belarus. If you’re planning on driving to Russia, you’ll need to take an alternative route through a different country. By rail: If you’re planning on travelling by rail between the two countries, you should contact your train or tour operator when you make your booking to seek their advice. You should also consider contacting your nearest Russian embassy or consulate for advice on the latest situation for rail travellers. You should make sure you have all the necessary visas for the duration of your travel. If your passport is lost or stolen while you are in Russia, then you will need to obtain a police report from the nearest police station and get a UK Emergency Travel Document (ETD). Once you obtain these, then you will need to apply for an exit visa to leave Russia. ETDs are accepted for entry, landside transit and exit from Russia only if they contain a valid Russian visa. The Russian authorities will only put a visa for Russia in an ETD in limited circumstances. Contact the nearest Russian embassy or consulate outside Russia or local migration office in Russia to find out if a visa can be issued. You also need to check with the Russian embassy, consulate or migration office on the required length of ETD validity. UK ETDs without a visa are accepted for airside transit only. You should check with your travel company or airline that transit zones will be available at the airports of your planned route. You can import and export foreign currency up to USD 10,000 (or equivalent) without declaring it. And you can export foreign currency up to USD 3,000 (or equivalent) without declaring it. If you import over USD 10,000 (or equivalent) or certain categories of goods (eg electrical items, jewellery, antiques, valuable musical instruments), you must complete a customs declaration form. If you wish to import certain advanced electronic items (eg GPS instruments), you must get an operating licence from the Russian authorities before you travel. Check with your nearest Russian embassy or consulate for advice before your departure. If you complete a declaration, make sure the form is stamped by a customs official at your port of entry, otherwise your foreign currency and non-declared items may be confiscated when you leave Russia and you may be fined. Keep receipts of any purchases in case you need to present them when you leave Russia. There are strict regulations covering the export of antiques, artworks (including modern art and posters if they’re particularly rare or valuable) and items of historical significance bought in Russia or imported to Russia from abroad. You’ll need an export permit from the Ministry of Culture to export this type of material and each item must be declared at the point of departure. Don’t attempt to import or export items that require permits without the relevant paperwork as this is a serious offence. You can normally bring prescription and over the counter medication into Russia for personal use. However, if your medication contains narcotic or psychoactive substances (details available on the Rossiyskaya Gazeta website in Russian), you must carry a prescription in your name which has been translated into Russian and then notarised. Notarisation services in the UK are available from a Notary Public. If you’re unsure whether you need to provide a prescription and notarised translation to bring your medicines into Russia, check with the Russian Embassy before you travel. Your European Health Insurance Card (EHIC) is not valid in Russia, and the reciprocal healthcare agreement between the UK and Russia ended on 1 January 2016. Medical care in most areas of Russia is below Western standards. Hospitals do not accept all cases, and require cash or credit card payments at Western rates in advance of treatment. Disposable IV supplies, syringes and needles are standard practice in urban areas; however if you plan to travel in remote areas, you may wish to bring your own supplies. The UNAIDS Data 2018 Report estimated that around 1 million people in Russia are living with HIV. The prevalence percentage was estimated at around 0.7% of the adult population compared to the prevalence percentage rate in adults in the UK of around 0.2%. You should exercise normal precautions to avoid exposure to HIV/AIDS. Due to uncertainties with the local blood supply, non-essential and elective surgeries are not recommended. Air quality in Moscow varies and can worsen in certain weather conditions. You should monitor local media and the website for Moscow Emercom (in Russian) for more information. 112 is the single number for any emergency service in Russia. The currency in Russia is the Russian rouble (RUB). Credit/debit cards are widely used in major Russian cities, including most hotels, restaurants, tourist attractions, supermarkets and other shops. ATMs are easy to find; predominantly in bank outlets. Let your credit/debit card provider know where you’re going to avoid your card being blocked for anti-fraud reasons. You should report the loss of your credit/debit card to your provider as soon as possible. It’s advisable to have some cash in roubles to meet any expenses. For example, taxi drivers are unlikely to accept card payments unless you are using an app. Most major high street banks and currency exchange providers in the UK can pre-order roubles. If you plan to buy roubles in Russia, you should take US dollars or euros to exchange, and only change money at banks, hotels and airport exchange bureaux. It is an offence to change money from street traders. It’s illegal to pay directly for general transactions with dollars or euros. Large numbers of British nationals travel safely in and around the Arctic each year. The Arctic is a vast region, comprising the northerly areas of Canada, Finland, Greenland (Denmark), Iceland, Norway, Russia, Sweden and Alaska (United States). In addition to reading the specific travel advice for each of these countries, prospective visitors to the Arctic should also consider the potential remoteness of certain destinations from search and rescue, evacuation and medical facilities. Independent travellers are particularly advised to develop contingency arrangements for emergency back-up.